If you bought a new or used motor vehicle under a written warranty and it fails to live perform as expected or has a serious defect, you may be entitled to certain expenses incurred while attempting to have your car repaired under California or federal legislation, including either a refund of the cost of your car or a replacement vehicle. These laws are typically referred to as "lemon laws." New cars under a written warranty, or used cars still covered under the original warranty, are covered under California's Song-Beverly Consumer Warranty Act. Before your new car is eligible to be replaced or the purchase price returned to you, you have to demonstrate that it could not be repaired after a reasonable number of attempts to remedy the problem or defect. You are responsible, though, for the use of the car before it was first brought in for repair. For example, if you operated the car for 5,000 miles before you first brought it in, your purchase price or reimbursement value could be reduced by 4 percent. This is based on dividing the miles travelled (5000 miles) by 120,000 miles and then multiplied by the purchase price to arrive at your compensation. The law covers the period of your warranty, which in some cases could be as long as 3 years. Any towing charges, licensing fees and taxes must also be returned to you. Under the Song-Beverly Act, if any problem "substantially impairs the use, value or safety of the vehicle," and it arises within 18,000 miles or 18 months of purchase, you may demand a new vehicle or reimbursement of the purchase price less the percentage you used it. For this provision to apply, at least two attempts must have been made to repair very serious safety problems, or at least four attempts for other problems or the car has been out of service a minimum of 30 days while multiple problems are under repair. For some cars not covered under warranty, you still might seek a remedy under the California Consumer Legal Remedies Act if certain material misrepresentations were made. Under federal warranty law, any car seller and manufacturer must disclose in clear and concise language the conditions covered in its warranty. This law can cover frustrated car buyers whose auto purchase and problems may not be covered under California’s Song-Beverly Consumer Warranty Act. You can sue for breach of warranty if your car is not repaired after 3 attempts. Under federal law, all cars sold have at least an implied warranty of fitness and merchantability that it is fit for its intended purpose and meets minimum standards of safety and quality. 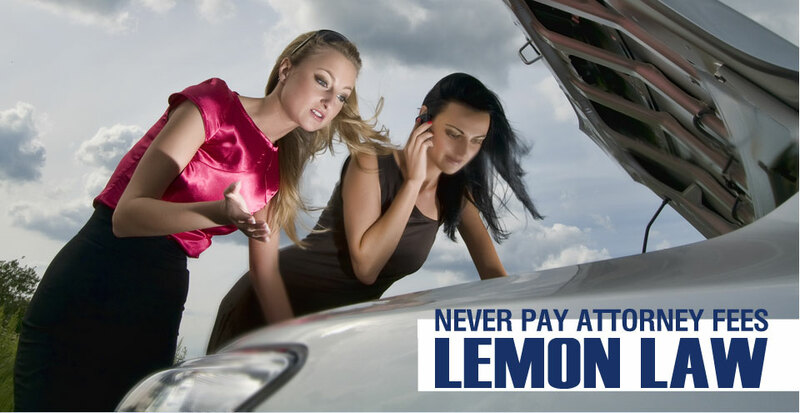 Lemon laws can be complicated and you may meet considerable opposition from your car dealer or manufacturer. Consult a California consumer law attorney who has experience in both state and federal consumer protection laws.